Discussion in 'Guitars in General' started by tonydetiger, Apr 20, 2016.
im getting into the idea of owning a Les Paul. I tried out both Epiphone and Gibson versions. After playing a few that sounded great but weighed a metric ton, I found a few that I liked. I've found that I need - it has to be chambered or weight relieved, it has to be a carved top, and it needs to have a belly carve. What version/price range in Gibon's lineup of LP's would have those features? My favorites so far are the Epi LP Ultra III, the Epi LP Florentine, and I found one Gibson LP Special Flametop Semi-Hollow that was nice. If you can find yourself an nice Axcess with or without the Floyd Rose, you would have a very nice axe! I sold a couple of mine and do miss them. That limits you quite a bit. BADHAK and mikesjam like this. I have the p90 version of this guitar and it rawks! The body layout/controls are very (ahem!) similar to a Les Paul. Chambered? Check. In fact, Godin claims that the chambers have been routed in such a way that the air inside resonate with the strings (and my experience is that this is a very resonant guitar). Light weight? Mine comes in at 6.8 lbs., so check! I've seen them selling brand new for $759 - $799 on Reverb. 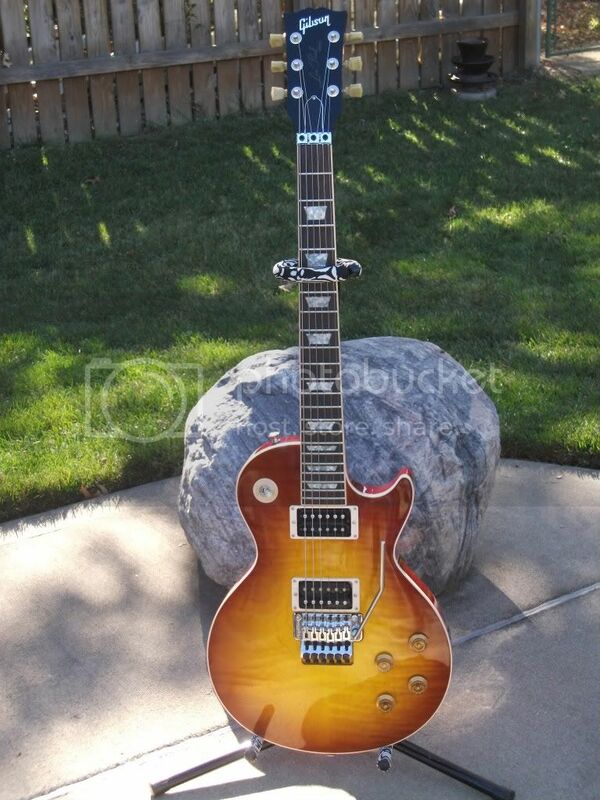 Keep looking... Lots of very nice LP shaped guitars out there that fit the bill. Suggest you buy a good used guitar - you'll get more bang for the buck, and it will already be depreciated. If you don't like it, you can move it without losing money. In my own experience most higher end Epiphones are better than low end Gibsons quality wise. So if thats your budget thats what I would reccomend. I have guitars that are custom shop and hand crafted yadda yadda but the truth is that to this day one of the best sounding guitars I had was a 2014 Epi LP custom black back with upgraded 57 classics and 50's style wiring harness. Sustain for days and sounded more like a LP than anything I ever played. Had some weight behind it but I didnt mind because the tone was great. Look at some PRS SEs. Which are the weight relieved Gibson Les Pauls? That's what I want. Here is all the info on weight-relieved, chambered, etc. from the My Les Paul forum. PRS Se Tremonti. I have one and it is everything I wanted out of a Les Paul. Changed pickups to a set of SD Whole Lotta Humbuckers and the nut to a Tusk one. Plays and sounds as good or better than my friends LP Standard. Lt Dak, HoboMan and aynirar27 like this. I've narrowed it down to 3 options in my price range. I've played/tried out the Hagstrom and the PRS, and both would meet my needs. 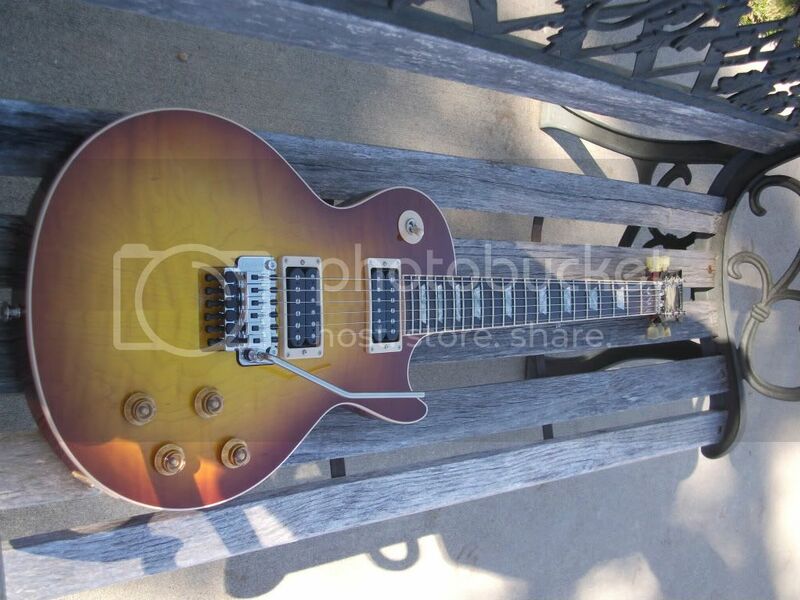 I haven't played the exact model of Epi LP, but I have tried out others in the line. I liked my PRS SE Bernie Marsden better than my 2016 Studio that costs twice as much. I have played your three options. I preferred the PRS Zach Myers. I tried a SE Zach Myers. I liked the guitar overall, but I might want a pickup swap eventually. I don't know how similar the 245 pickups are to say a Dimarzio 36th anniversary, which would be my personal favorites. find a 2014 studio pro. you get everything cool about owning a gibby LP, just no binding, and it's modern weight relief. since best buy blew out some nos ones up here about 6 months ago for $600+tax out the door, you should be able to get a minty used one for that much or less. mine is lighter than my strat by 1/3 of a lb. switching options, good pick ups, nice top. Thanks for the recommendation. I'll keep an eye out. Looks like folks are still charging retail for it mostly, but I'll keep my eyes peeled. 2015 Les Paul Less + or a Les Paul Custom Lite have the specs that you're looking for. 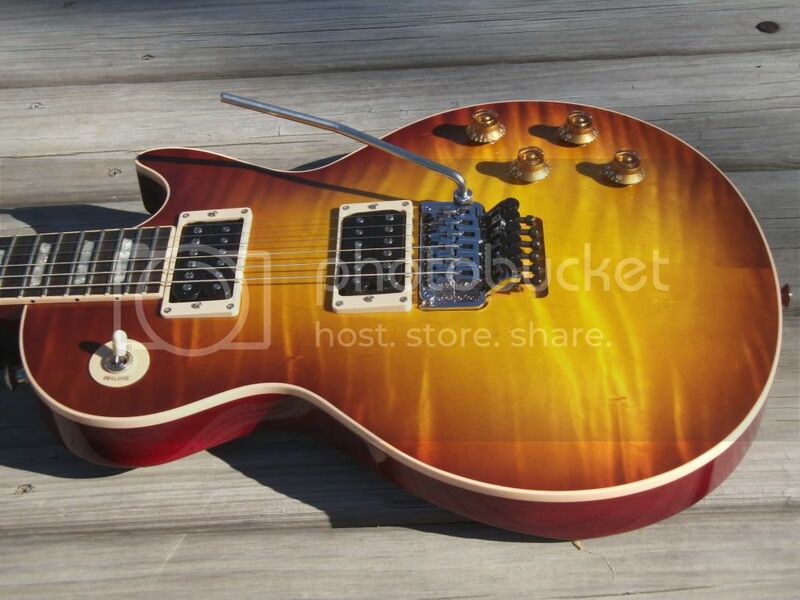 2016 Les Paul CM has several of the specs as well, but only has a single pickup. I'd also recommend having a look at the ESP/EII Eclipse series as they have similar specs (my 2010 Eclipse is the best all around guitar I own). Save your money. I bought this Epiphone Les Paul Special II for my daughter a few years ago, and it is finished in Pelham Blue, It really plays well and those pickups are nice and hot. I compared it to my weight-relieved 2012 Gibson LP Studio 60's Tribute, and it was pretty even. The Epi had better tuners, but the separate tone and volume controls on the Gibson give you more sounds. The bolt-on neck isn't as cheesy as one would think, and its a beefy neck. The Gibson has a 60's neck contour. The Epi is made with a mahogany slab body, like the old 50's Customs, but no carve of the top. The Gibson is made with a maple top and a moderate top carve. I don't like the vintage Kluson-Deluxe style Gibson tuners, as they easily go out of tune. As for sound, both delivered despite the Gibson had p-90s and the epi had uncovered 700T/650R humbucker pickups, with black bobbins. Both crunched and snarled and wailed. Even the most negative review was positive. No belly cut, though.